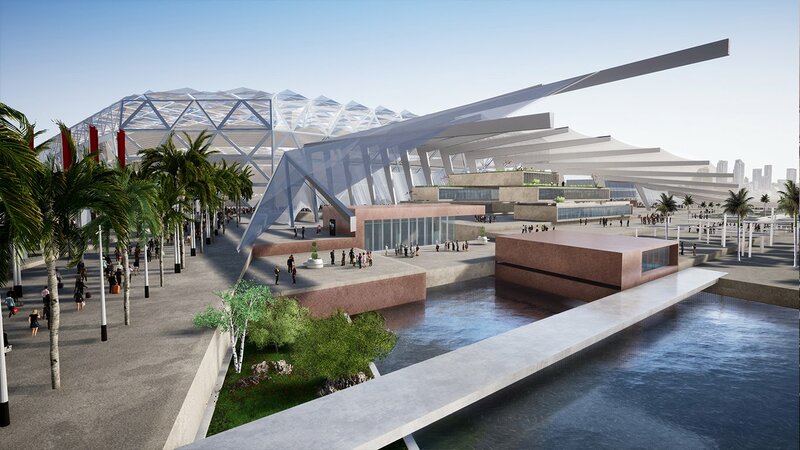 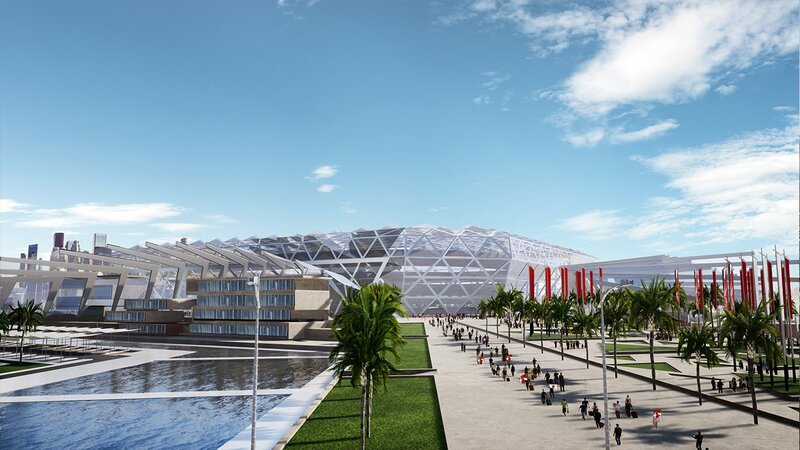 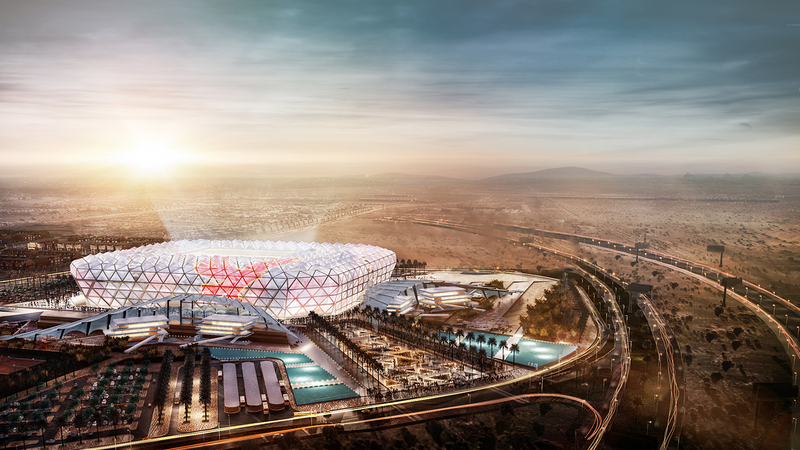 The concept revealed in November of 2017 depicts Al Ahly's new stadium but is in fact only a new iteration of the previous vision from 2015, also created by Albert Speer's architectural office, in cooperation with Arup and Grid. 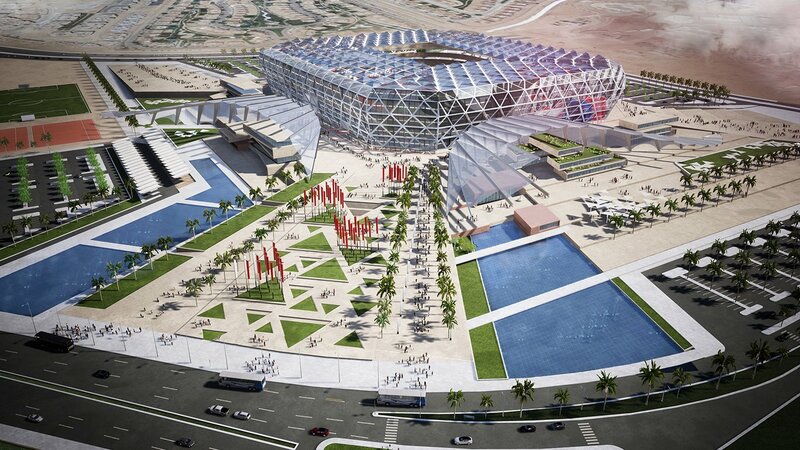 Main difference between the two is not even the stadium itself but its direct vicinity. 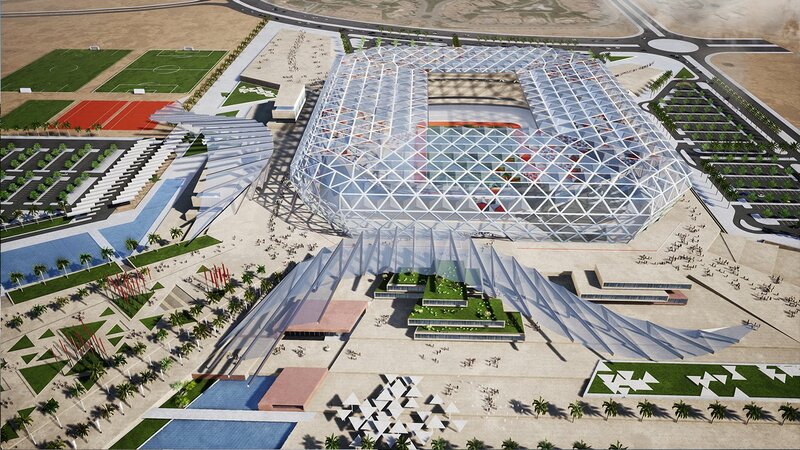 The surroundings now include two giant wings (semi-covered public plazas) aimed at resembling an eagle, Al Ahly's symbol. 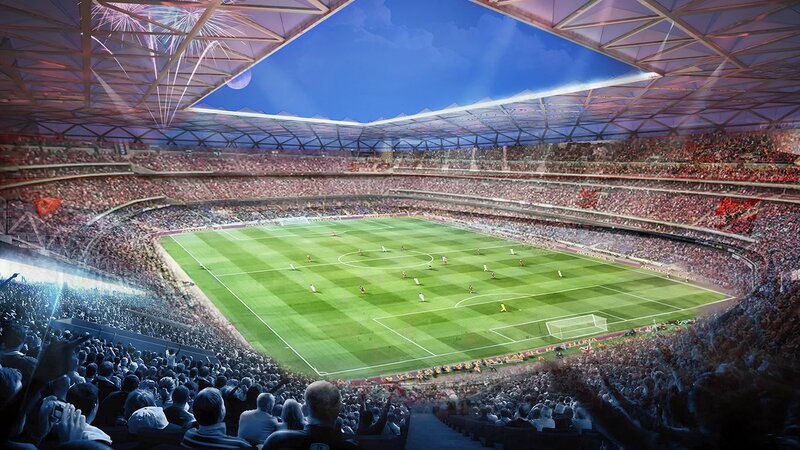 The stadium itself is unchanged, which means it would still hold 60,000 people under a uniform grid-based outer cladding. 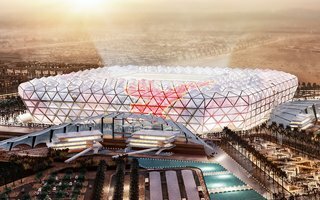 With translucent foil covering it, association with Allianz Arena springs to mind immediately and not without reason as it was officially given as one of the inspirations. 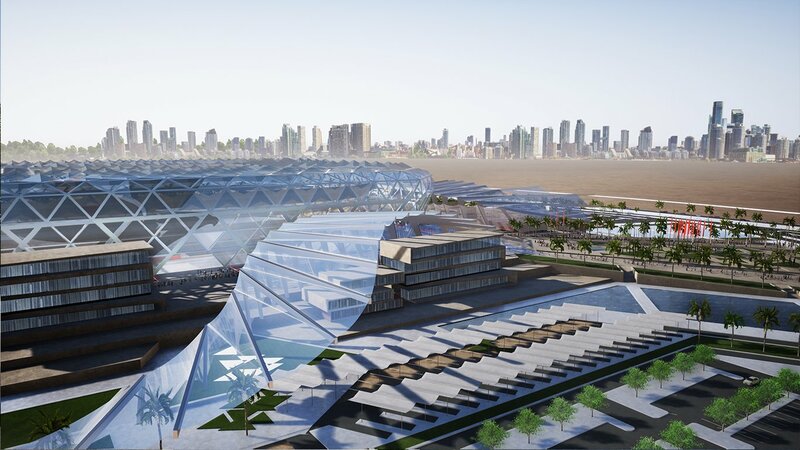 Once built in Cairo's rich western suburb of Sheikh Zayed City, the building would be Egypt's first intelligent stadium, focused on sustainability and modern technologies.